I have a little secret to tell ya. 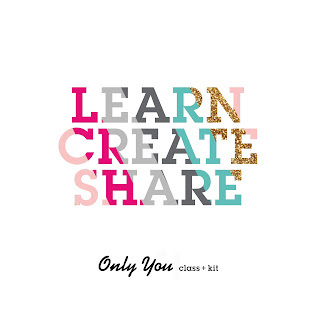 It's about this layout I created using my Scrapbook Circle Remember This kit, which was packed with My Mind's Eye Follow Your Heart. The secret involves all of the above but I did something I never do. I created a layout without having the pictures for it. I knew I wanted to do some chalk art photos after seeing a couple on Pinterest where people drew king/queen crowns and then posed their children with them. Apparently I didn't pin them to my board and just pinned the idea of chalk art photos to my brain or I'd link you to some of them. I actually created the layout weeks before I had the time to get out there and get artsy with the kids. Do YOU ever create a layout before you've taken the photos? It's just impossible to me to be able to predict what photos I'll end up with. I admire people who can do a layout for their upcoming child's birthday party a month before the party and have it turn out perfectly...I'm talking about you, Major Ken!!! How do they do it? These were pretty easy because I took them far enough away that I could make them portrait or landscape, plus I knew what I needed so I didn't sweat it. You can't even tell that this is made from scraps but trust me, those photos just barely cover the cuts and edges. I love my little smorgeshborg layout! Here's the last remaining bit of chipboard I had left. Oh, I should mention that I added title within my art "masterpiece" and journaled on the back! I have more photos on my youngest daughter for a fairy tale layout that I have yet to start. I will of course, post it here when I have it. Wowwwwwwwwwww! This is GORGEOUS! 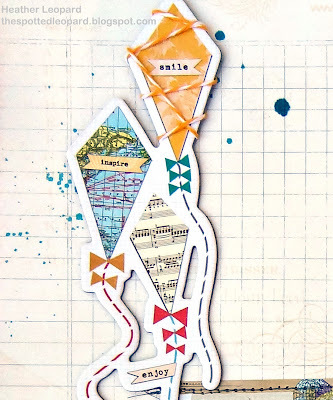 I loveeeeeeeeeee how clever those photos are and love love love love the kites!! FANTASTIC, can't even tell that it's scraps! 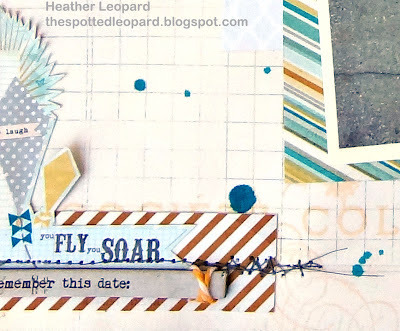 the pictures are FABULOUS as well--love how she appears to be flying--GREAT job! I love those photos! I have never made a page without photos. It all starts with the photos for me. Followed over from the Project Queen to see the collage - love the photos. Your daughter is not only cute, but seems to pretend very well to be patient! What a fun thing to do! Gorgeous page too! very fun. love all the details on it. and its very funky. some of my best pages turned out with no pix to scrap around. 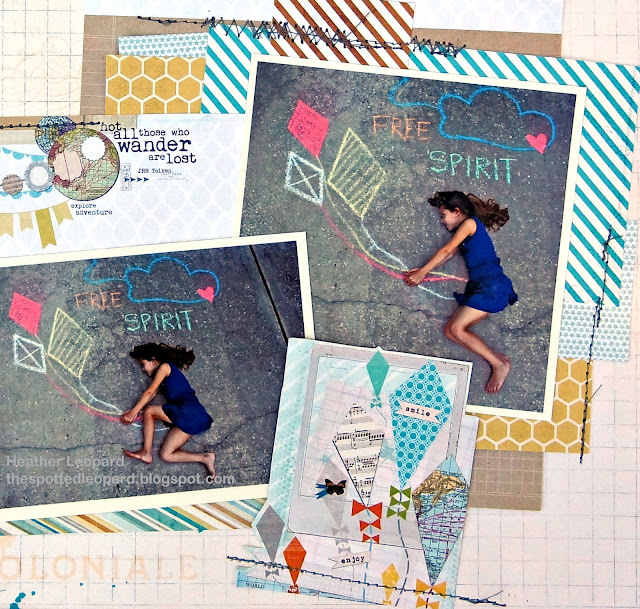 awesome layout - love the kite and the colors and I am totally going to see if my daughter will pose for me like this too! 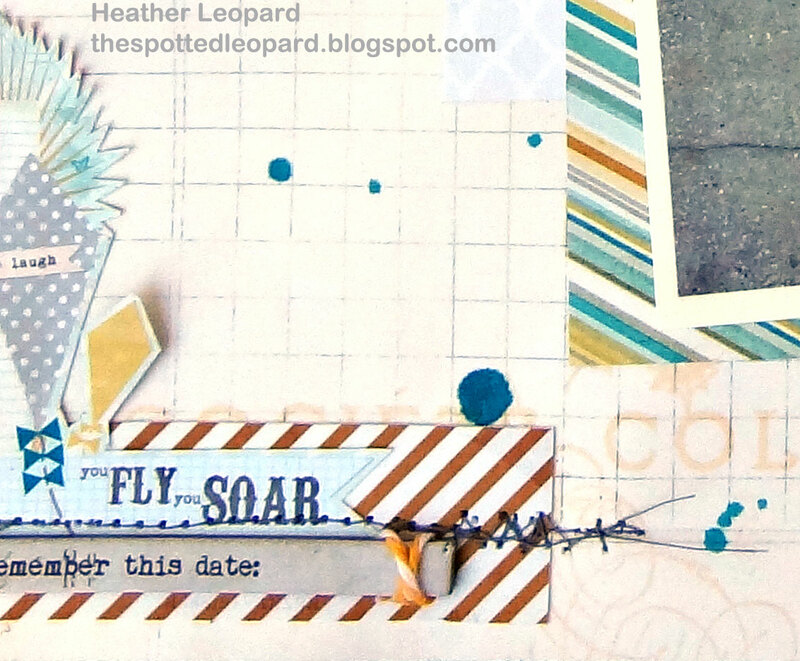 Such a fun creative layout!! great inspiration and such a clever and cute idea for a LO!!! Fabulous design!!! Not only are the papers and accents just wonderful on your adorable layout but how cool are the pics! AMAZING!!!!! I have to try this with my ladies!!! GREAT idea!!!!! how cool are those pics and that stunner of a layout!